It is very early Tuesday morning, and I have just zipped up my suitcase – bringing to conclusion the whirlwind of obsessive packing that has been the last few days [I have a three-tiered zippered pouch dedicated solely to Pepto-Bismol, herbal remedies, and teas]. We take off in a few hours. You, however, are most likely reading this on Wednesday, when I will be gliding over the North Pole, en route to Bangalore via Hong Kong. Still in transit. 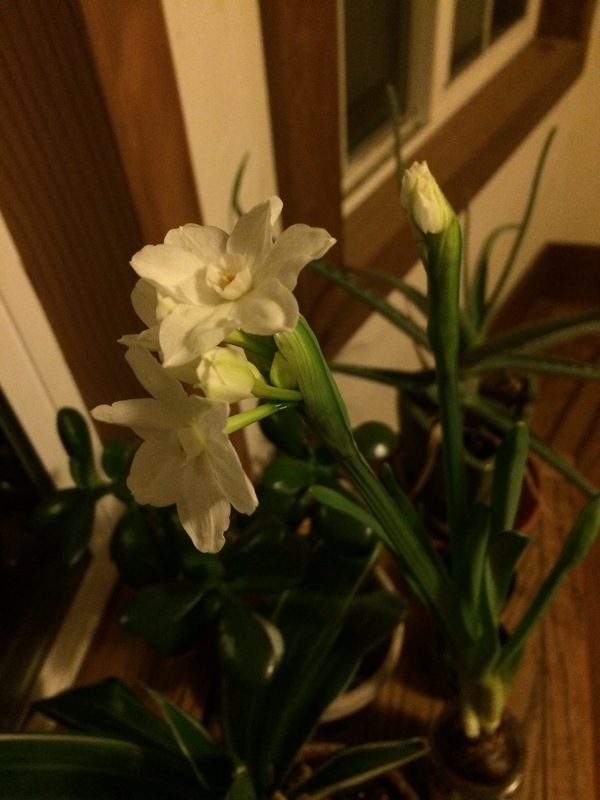 In the mean time, the first paperwhite has bloomed.